Have you seen these super cute eggs made of embrodiery floss? 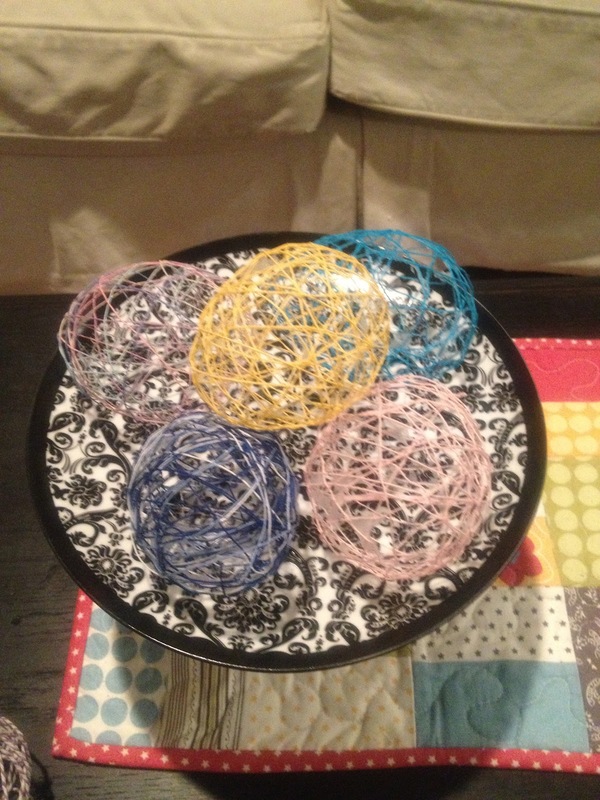 They are all over pintrest right now and I really thought that it would be a fun idea to do with the kids. 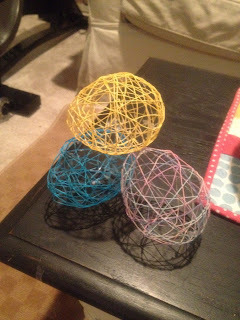 These eggs were from crafts-for-all-seasons.com and she has instructions on that web site also. She suggested using fabric stiffener which I didn't have on hand so I opted to use good old Elmers Glue and I think I got the same results. First I started by rounding up all of my string. I think the thinner the better on this but we did use a variety of sizes. I cut it into manageable strips about 18 inches or so but it doesn't need to be exact by any means. Second, round up some helpers. 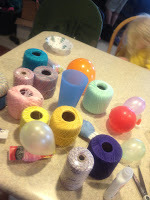 It is a little bit of a task to get the string dunked in the glue and then nicely on the balloon with out too much dripping on the table but it was fun. Once you get the desired amount of string on the balloon, Or your kids start to lose interest, you let the glue dry. We let it dry a few hours before popping the balloon. Now I read somewhere that someone used large balloons and they made these amazing huge eggs. this did not turn out so well for us. 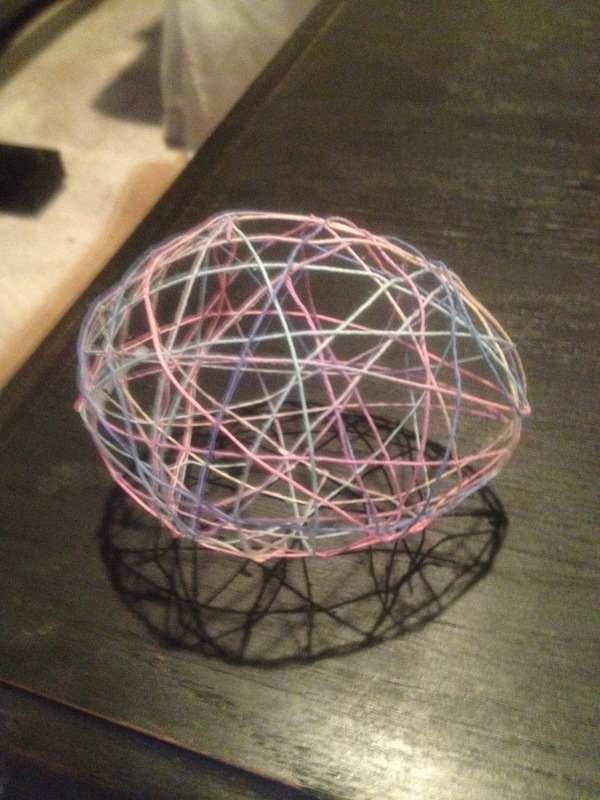 The string was not strong enough to keep its shape once the balloon popped it pulled it all in with it. So the little water balloons are definitely what worked best for us. I loved how they were perfect egg shaped and the fun colors that we made. Happy Easter! cute! I will have to remember this for next year!